Inspirational words make great birthday wishes since they not only inspire the celebrant but also make him/her feel loved. 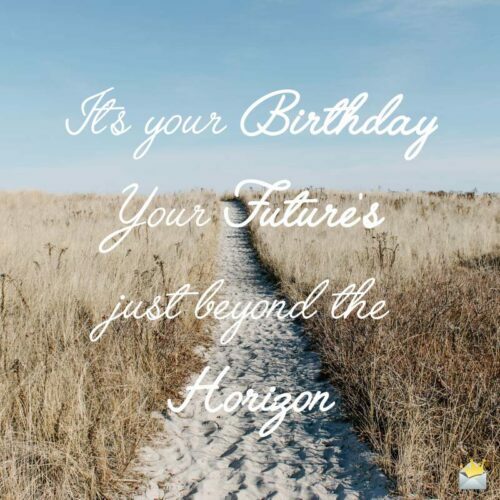 So go ahead and motivate your beloved ones to greatness on their birthday with the highly inspirational words we have put together for you below. Dear friend, I believe that in future your travail will surely lead you to a resounding victory accompanied by many days of true glory and extreme happiness. Have a joyous birthday! My beloved, I can sense something truly special coming your way. You just need to focus on your goals and keep on working relentlessly because you will be a true winner in the end. Happy birthday! Your struggles today should make you look forward to a day when you can breathe a sigh of fresh air, knowing that you have accomplished something that is absolutely awesome in life. Once you are breathing and still alive, there is always a huge possibility that when you focus and never cease working towards your goals, you will be truly victorious in the end. Have a beautiful one! You should always remember that even though you might be going through really tough and difficult moments now, your efforts of today will yield you a brighter tomorrow. Happy Big Day! You have put in the best efforts to get to where you are now, and I am definitely sure that our good Lord will bless you with so many beautiful returns. Have a big one! Sometimes, a difficult moment in life makes us grow stronger and adds more meaning to life, especially when we are able to come out victorious. Wishing you great attainment for your birthday! With your exceptional talent and your desire to accomplish something that is absolutely great, I believe that one day you will shine so brightly for the whole world to see. Happy birthday! You have all the right in this world to have the biggest of dreams; however, just remember that you will also need to work very hard towards achieving them. Have a fabulous celebration, dear. 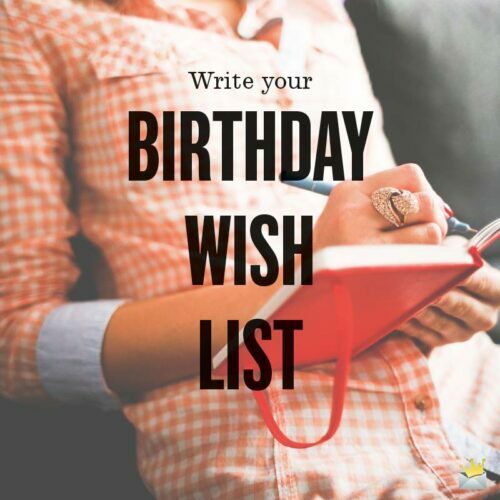 Write your Birthday Wish List. The road to great attainment is not usually smooth or easy, but you need to be strong and keep on moving simply because this path will surely lead you to a resounding achievement in the end. Beloved sister, I believe that you don’t need anything very extraordinary to make you truly triumphant in life. You just need pure determination, perseverance, discipline and hard work. Happy birthday! This is the right moment to have great faith in yourself and fight harder because your dreams are much closer to reality than you think. Have a blissful day of birth, dear! Every day is an opportune moment to open a great and fresh chapter in your life. I hope this magical moment opens so many amazing chapters and countless accomplishments for you. This very special day which marks your birthday is a truly wonderful time to take a very bold step towards achieving your dreams. Have a nice one! This life is full of so many ups and downs. However, you can make each day of yours a truly special one by simply being yourself. You are indeed an incredible sister to me. I wish you a hearty birthday. In you, I see a very determined, industrious, and above all, a truly beautiful person, who is full of great strength to accomplish so many amazing things in her life. Happy birthday, girl! Your dreams are just as beautiful as you are so don’t let anybody or anything stop them from happening. Wishing you true success on your birthday! I believe that your exemplary lifestyle should be the perfect footpath for many guys and girls out there to follow. Many happy returns! As you embark on this exceptional journey to great prosperity, many things will distract you. Others will discourage you. But have faith in your strength and, in the end, you will be surely victorious. Have a joyful birthday celebration! It’s your Birthday. Your Future’s just beyond the horizon. Sis, I am confident that your toil, determination, and perseverance will bring forth so many beautiful rewards to you someday. Wishing you immense joy and success for your Big Day! Dear sister, you have in you all the essential elements that are needed to succeed. You just need to combine them in the right manner and the sky will be your beginning and not your limit. Happy birthday! Your mind is the greatest asset you need in order to achieve your dreams. Just tune it in the direction of your goals and success will be your portion. 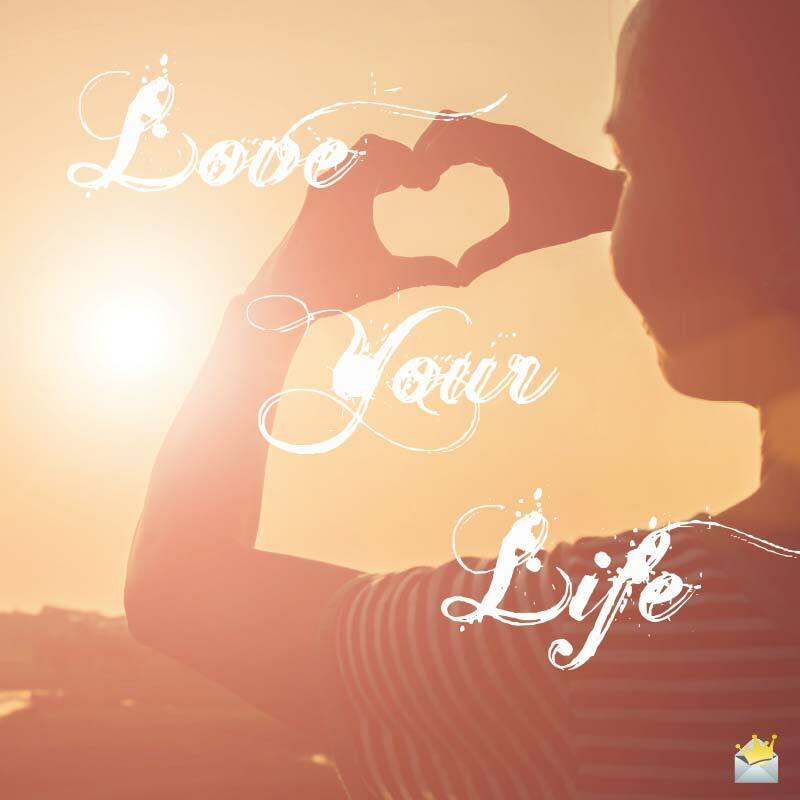 Only you have the power to make your world an absolutely happy one. Never count on anyone for your happiness. I wish you a joyful and a blessed Big Day! Truly successful people do not have all the fantastic opportunities in this world. What they do is that they make very good use of whatever moment they have. Have a marvelous anniversary! Dear friend, you have all the time in this world to achieve your beautiful dreams, but you should remember that each minute wasted is a step that takes you miles away from your dreams. Happy birthday! You have some pretty great talent in you, and I am certain you are about identify the opportunities that will make you use it to the fullest. Wishing you a great birthday! This is just another amazing moment to remind you of the extremely huge potential you have in you. Put them to good use and the benefits will be incredibly massive for you. Continue pressing on, and don’t allow the fear of disappointment, discouragement, failure or rejection put you off. I believe you are chasing a very wonderful dream. Hearty day of birth, sweet sis! It is no secret that you make this family an extremely proud one, and remember that we will always be there to extend our truly supportive hands to you in anything that you do. Happy day of birth! Sweet sister, I truly want you to know that there is something that is really special in you and this makes you very outstanding. You just have to be yourself in order to unearth the amazing greatness in you. Happy Big day! When ascending the ladder of success, you might fall so many times. However, you should never give up because without failure, victories will be meaningless. Wishing you a gladsome birthday, bro!